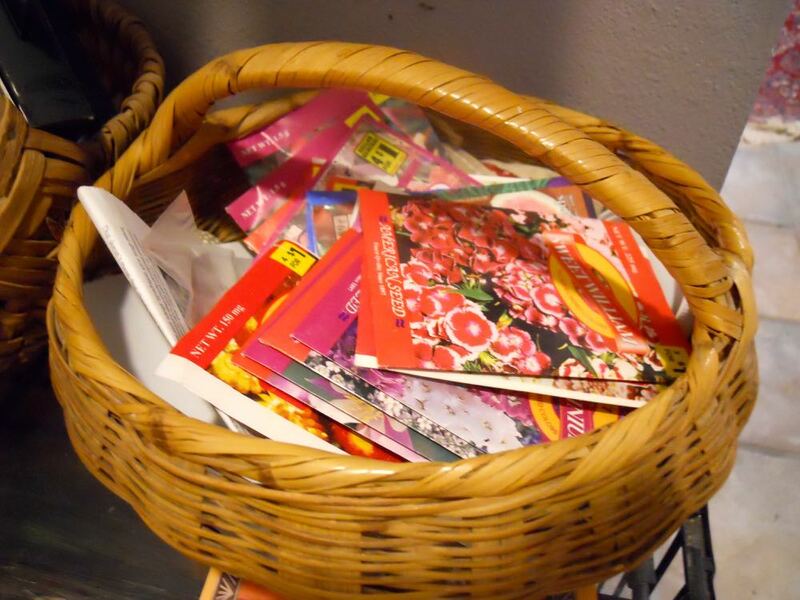 February is a good time to check your seed stash for viable seeds you can still use this year. Pressure is on so if you haven’t made a dent in your reading pile, get a start, spring is only two months away. Most of mid-Missouri is in USDA Hardiness Zone 5b which, with climate changing, means spring will start earlier than in the past and along with fall, last longer. 1. If you haven’t ordered your favorite gardening catalogs, get them ordered. Look for catalogs with detailed plant descriptions and good photographs so you can use them for reference. Missouri Wildflowers Catalog has lovely pictures, even old catalogs are still good references. www.mowildflowers.net. For heirloom seeds, try Baker Creek Heirloom Seeds at www.rareseeds.com, both are Missouri nurseries. 2. Now for a great Native Plant Guide, you can download the Prairie Moon Catalog online. This guide out of Winona, Minnesota offers North American Native seeds and plants along with a guide on how to get wildflower seeds to grow, how to plant bare root plants, seed combinations and a plant/insect interaction guide so you know what plants attract what pollinators. 3. Review last year’s garden diary entries. If you’ve missed a few entries, add them now. Underline items you wanted to get done this year. I make a list, then decide which projects I want to tackle. I also carry over the ones I didn’t get to last year, or drop them off the master list. This is a good time to dream. 4. Focus on adding native plants. Once established, they will be low care and tend to require less water than other plants and they will feed the native pollinators. They are connected. 5. Read. Whether it’s Missouri Gardener Magazine, which provides good local gardening information and gardening books, catch up on what you couldn’t get to last year. I keep a pile of gardening books from our local library’s semi-annual book sale just for snowy, cold winter days. Prairie Moon Nursery's Native Plant Guide has a nice how to for planting wildflowers. 6. On warm days, remember to water mums planted this past year. New mums need a gallon a month to keep their roots moist their first year. Once established, mums will become perennials and deter bugs from around where they are planted. 8. Pile mulch and leaves on garden beds if they’ve been blown off by winter winds. 9. Check inside plants for any hitchhiking bugs and remove. Make sure they are getting their sunlight needs met. If not, move them. Water with diluted fertilizer. Prune as necessary. 10. Drop your garden pruners and other garden tools off to get sharpened, this is a slow time of year and this will give you a head start on the season. 11. When feeding birds, add a little sand in the birdfeeder mix. Birds need sand to help them digest seeds. Also ensure they have an available water source. Feed suet on cold days. 12. If you have fish in an outside pond, make sure it has a hole in the ice so fish will get oxygen.